Aerial photography will be in people’s minds this week with BBC1’s The Apprentice returning to UK TV. The opening titles always have some excellent skyline footage of the City of London’s skyline and as you can see below it adds gravitas to this business reality show. A great example of our team in action can be seen in this review of the 2013 Rolex Fastnet Race, it is all about knowing how to look through the filmmaker’s eye and put the helicopter in the right position. Judging by the trailer another element that the Apprentice will be highlighting in the first episode is business travel by helicopter. Lord Sugar will make a vertical arrival for his first meeting with the candidates and no doubt they will be hoping that one day they too will be traveling in style. It isn’t all about making an impression. 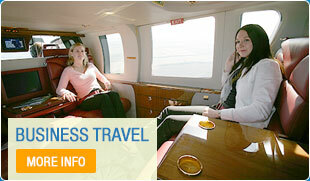 Helicopter flights are a quick and convenient way of crossing the country and visiting multiple locations in one day. Your business is saving time, avoiding delays and landing where you want to, while giving clients the opportunity to soak up the brilliance of the UK’s landscape. At the close of the day you can fly to one of our heli-dining locations and relax over a glorious meal, knowing you will be back in London within 30 minutes. The of the planning, landing permissions and itinerary are arranged by Atlas’ Operations Team. They have many years of experience so always check with them to see what is possible.